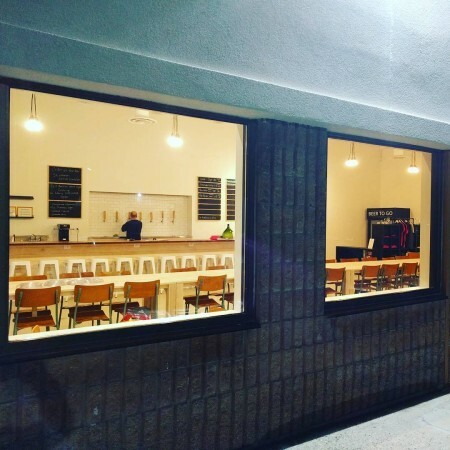 LONDON, ON – A new brewery and taproom has quietly opened for business in the Old South neighbourhood of London, Ontario. Storm Stayed Brewing has been founded by veteran homebrewers Michael Naish and Justin Belanger, and is located in a 4200-square-foot space at 169 Wharncliffe Road South that was previously home to The Cove Restaurant. While not widely announced, online reports indicate that the soft opening started over the weekend, and several beers including Pale Ale, Porter, and Berliner Weiss are available on tap. A small food menu is also available featuring items prepared in the on-site kitchen by Emma Richard of The Gathering Plate. For more details, see the Storm Stayed Brewing Facebook page, as well as feature articles published earlier this year by Our London and London Fuse.